This week at More Than Paper, we are inspired by our personalized linen hemstitch napkins that make the perfect hostess or housewarming present. They are so luxurious and beautiful, they're the kind of gift someone loves to receive. With their clean appearance and crisp structure, a set of 6 napkins comes personalized at no additional cost for just $58. 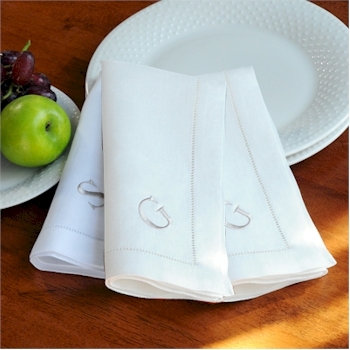 The napkins are fashioned in high quality linen and have a luxurious feel to them. They're a chic table accessory and would make a great addition to anyone's place setting at home. We love that you can choose between white and cream with many choices for thread colors, too! These gorgeous napkins make also make a great gift for an engagement or bridal shower, or anyone that loves entertaining at home. Head over to read more about them here! Quite often, this motorbike's power gas tank has to be empty.